Special education teachers make education accessible. Special education teachers face the daunting task of guiding students with diagnosed disabilities to academic accomplishments. 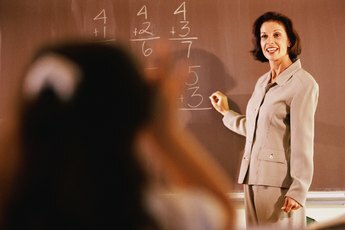 The Bureau of Labor Statistics reported in 2010 that median annual pay for these teachers is $53,220, and you know you have to work hard for every dime of that. Special education teachers have their hands full balancing demanding situations and complex regulations. If you want to try for a job in this field, expect to field a string of fairly complex questions in your job interview. After all, your potential employer needs to know what you know about special education law and how prepared you are for this taxing job. Compliance is a huge -- potentially costly -- issue in special education. All schools are legally required to provide services to qualifying students as a result of the Individuals with Disabilities in Education Act of 2004. This law creates a maze-like process that special education teachers must navigate to maintain compliance. Your potential employer will want to know that you know enough about compliance to keep the school safe from lawsuits. Because being found out of compliance can result in pricey penalties, the interview committee will almost undoubtedly ask you about this topic, so be prepared. Special education teachers today are less likely to teach students in a self-contained classroom and more likely to work with a general education teacher in the standard classroom. This arrangement is due to legislation that requires students to be educated in the traditional classroom in all but the most extreme circumstances. The hiring committee will look for special education teachers who can engage in teamwork. They will likely pose a question that deals with this topic, so thinking about it before your high-stress interview is smart. Children who suffer from disabilities are often not able to show what they know in the same way as their traditionally able peers. Special education teachers must ensure that the assessment strategies used to measure these students’ skills are fair and accurate. Expect your interviewers to ask you how assessments can be modified for special needs students. 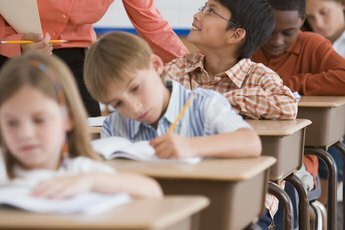 Special education accommodations don’t only include instruction -- they cover discipline, too. That means you may be asked about how to modify discipline for students whose disabilities. Special education teachers often work with the disciplinary head of the school to ensure that punishments are fair and do not violate the disabled student’s rights. When asking you this kind of question, the interviewer is looking for clear suggestions about how these students can be disciplined within the letter of the law.